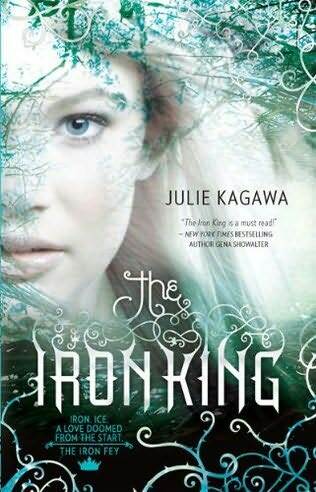 I'm about to start reading The Iron King by Julie Kagawa. I've had this on my list for ages and even had it from the library a month or two ago but didn't have time to read it so had to return it. I got it again 2 weeks ago and it's due Saturday and can't be renewed, so I've gotta get a move on! Last night, I finished reading Tithe - A Modern Faerie Tale by Holly Black. 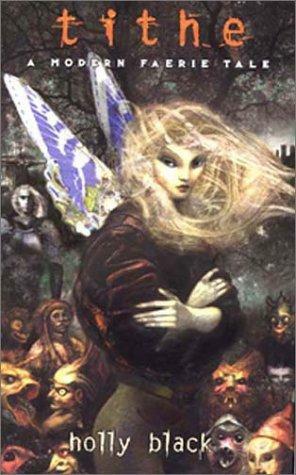 It was a different and interesting spin on faerie - very dark and slightly disturbing but I actually really enjoyed it. I'll be starting my review on it later today, so stay tuned! Well, I have 7 library books and another couple on hold to pick up Saturday when I go, so I'll have to see what's due the soonest. My choices are: Delicious and Suspicious by Riley Adams, When it Happens by Susane Colasanti, From Notting Hill With Love - Actually by Ali McNamara, Phanton Evil by Heather Graham, The Rehearsal by Eleanor Catton, The Violets of March by Sarah Jio, Skipping a Beat by Sarah Pekkanen, and whatever's waiting for me at the library, I can't remember what it is. Decisions, decisions! Just finished reading: An advance copy of Frost by Wendy Delsol - 2nd book in her trilogy which I found thoroughly enjoyable. I might read next: Most likely the new Bordertown anthology. Hey, I have a double-overlap with you. Iron King is in my TBR list, and I've read Tithe. I liked it too! Here is my wha wha wha Wednesday on my book buffet. Next: So many.... Probably "Making Sense of it All", a biography of Pascal by Thomas V. Morris - to help me with the weekly feature I'm starting this week called "Sundays with Pascal."